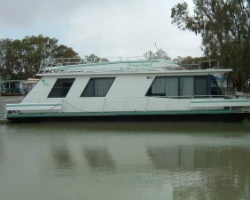 Based at Murray Bridge, 1hr drive from Adelaide, on Leisuretime Cruises you can enjoy exploring the mighty Murray River. Cruising along this river, experience the serenity of drooping willows, towering cliffs and the contrast of river flats and red gums, the richness of orchards and the seclusions of small creeks and lagoons. The Murray's banks form protected lagoons for a myraid of bird life. Take a safari bus and tour the Monarto Zoological Park. 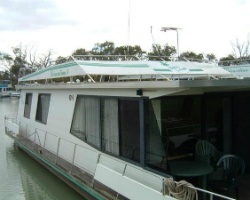 Enjoy the water sports, fish for your dinner or sit back and savour the atmosphere and charms of the Murray. Annual floating week! Exciting cruises available! Buyer May Receive A Title Fee Credit, Inquire For Details!